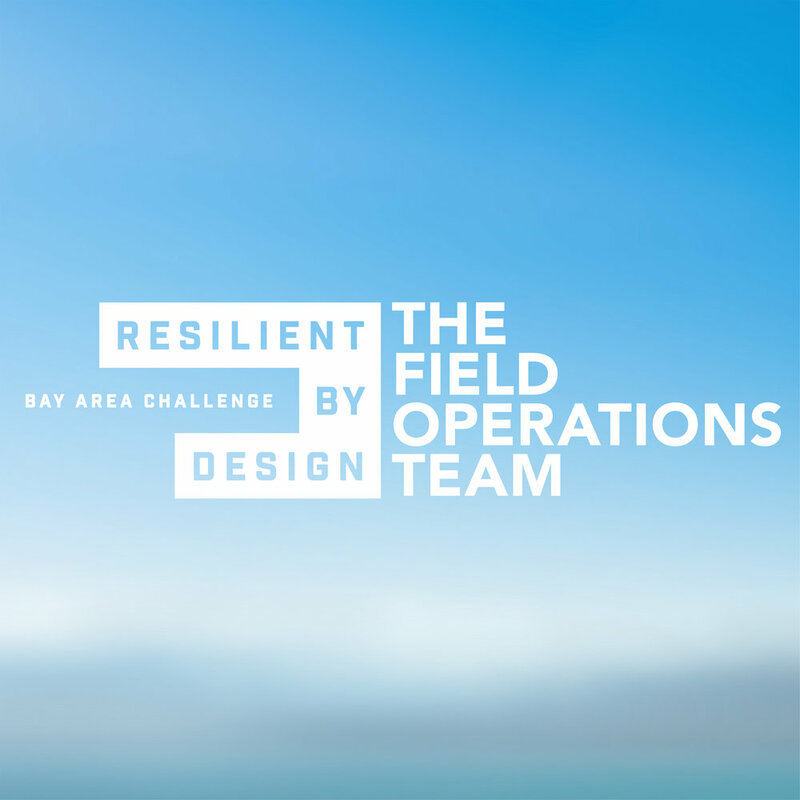 The Field Operations Team brings a bold and optimistic vision for how the Bay Area can better adapt to climate change, rising sea levels and related environmental and urban growth stresses in the coming decades. The design team is led by James Corner Field Operations, an interdisciplinary urban design and landscape architecture practice based in New York City and San Francisco. Additional team members include: Moffatt & Nichol, Magnusson Klemencic Associates, SF BAY National Estuarine Research Reserve, Romberg-Tiburon Center, SFSU, Andrea Baker Consulting, James Lima Planning + Development, The Bay Institute, SeArc/ECOncrete, HT Harvey and Associates, Playhou.se Animation, and Adventure Pictures. Follow The Field Operations Team on Social Media! The Field Operations Team begins with the framework of ‘One Bay, Many Communities, Many Solutions.’ The notion of ‘One Bay’ speaks to the bay as something shared and fundamental. The notion of ‘Many Communities’ speaks to the great number of settlements that surround the bay, and the great diversity of priorities and points-of-view. The notion of ‘Many Solutions’ speaks to the diversity of conditions around the bay - and the importance of an approach that accommodates rich variation and difference. These three guiding frameworks forms the basis around which our work will take shape. The team's design process relies heavily on local agencies, organizations and voices to inspire real transformation. Together with community, The Field Operations Team will utilize the next design phase to listen and learn from the insights of local residents, help imagine design approaches that enhance current projects, and ensure the solutions proposed in May of 2018 reflect community needs. The Bay Towns of the South Bay have been selected as a priority resilience site for the Bay Area Challenge. The site includes vulnerable areas in East Palo Alto, Palo Alto, Sunnyvale, and Mountain View. Risks: sea level rise, storm surge and tidal flooding, aging infrastructure, displacement and lack of housing. The South Bay and Silicon Valley include some of the lowest-lying and most vulnerable communities to sea level rise in the Bay Area, and at the same time are growing rapidly and lacking adequate housing and transit connectivity. And yet, Silicon Valley is a global center of technology and innovation. Future innovations in the global effort to address urban development in the face of climate change are most likely poised to take shape in the South Bay. Furthermore, California’s complex ownership of the interconnected and interdependent Salt Ponds create a challenging puzzle for holistic approaches to addressing sea-level rise, flood risk and ecological resilience in the South Bay. Completing “resilience” in one place has the potential to magnify stresses and vulnerabilities of neighboring places - a holistic, coordinated, large scale effort is needed to be successful. The Field Operations Team sees the South Bay as an opportunity to leverage design solutions that focus on addressing the various connectivity, equity and environmental issues in the South Bay. To ensure resilience efforts in the South Bay are successful, the Field Operations team will work to create a holistic and multi-scale approach that includes East Palo Alto, Palo Alto, Sunnyvale, and Mountain View. Additionally, the Field Operations Team will carefully consider how robust, natural ecological systems of the South Bay and thoughtfully planned urbanization can address how the local communities relate to the Bay and to one another.